Boy's shoes. Description: Boy's shoes, 1 pair circa 1888 size 4D Balck leather with high button top, 5 black buttons, button holes with scalloped edges. Lined with white cloth and pink leather inside stamped 4D 4569. Nolan Bros, Makers. 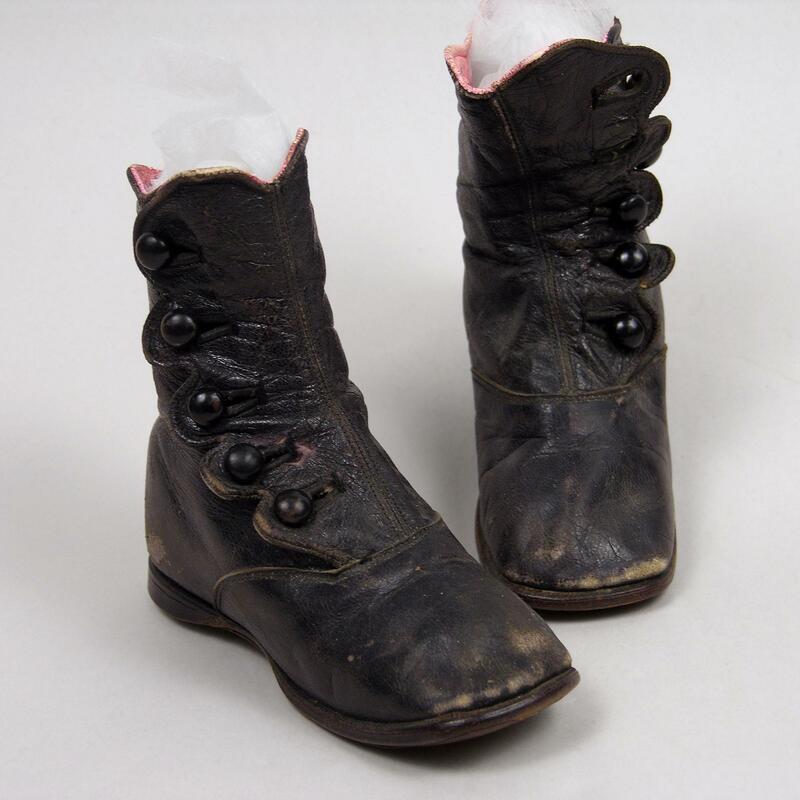 History: Circa 1888 shoes worn by Donor's husband when about 5 years old. Was residing on Green Oaks Ranch in San Mateo county. Used: boy ~ costume | William F. Steele ~ Green Oaks Ranch ~ San Mateo Co.